Personally I’m just amused that we could ship a game like Gears and Piñata within 48 hours of each other: both are state of the arts and extremely playable yet so very different. 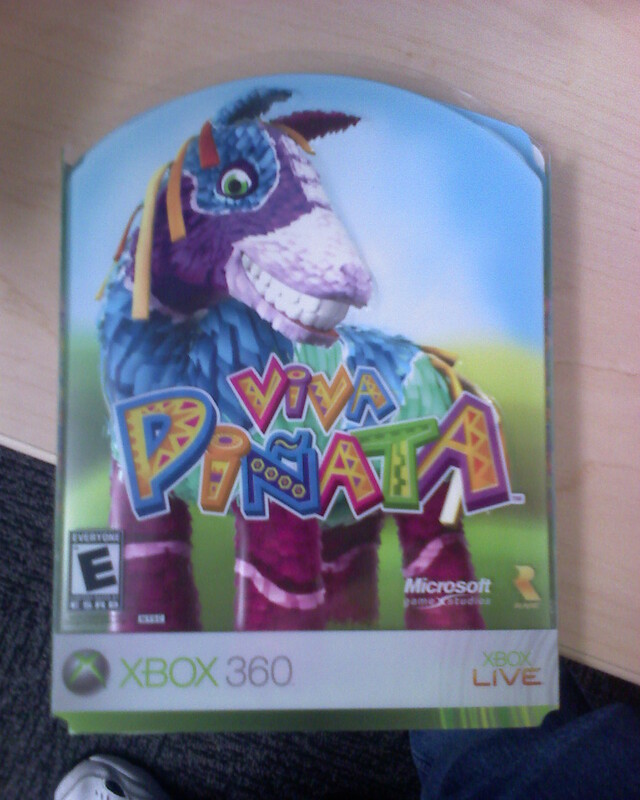 There have been several people over here eagerly awaiting Viva Pinata. I suspect that, were I to own a 360, this is the kind of game I would like. Oh, I’ve played it… spent hours in it in a beta. If it makes the same jump in quality that Gears did from beta to RTM, it will be a Masterpiece. As it is, in the version I played, I was amazed at the colors being used… almost hypnotic.